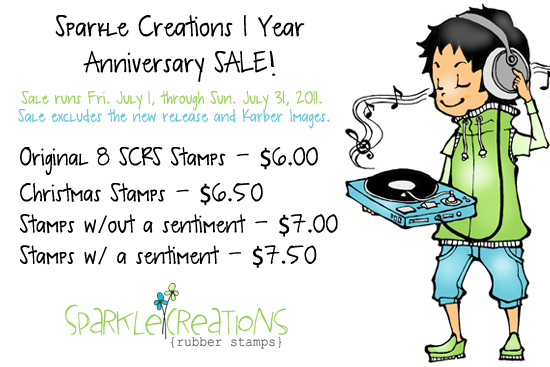 Sparkle Creations Rubber Stamps Challenge #51~Christmas in July! I used this cutie~Caroling Josh for my card. The dp is Cosmo Cricket Jolly by Golly and the layout is the July Jen's Sketch For You To Try. Make sure you check out the rest of the DT's fabulous cards and see what prize is up for grabs this week on the Sparkle Creations Rubber Stamps Blog! That's it for me! I'll be back Wednesday evening with a Your Next Stamp New Release Blog Hop~YAY! Thank you so much for stopping by and have a wonderful Tuesday! Oh, Kerri! I LOVE everything about this! So stinkin' cute! Love that big twine bow too! Amazing card! I really like how you added twine bow! You are so creative, Kerri! Great christmas card, the image is so pretty, wonderful! 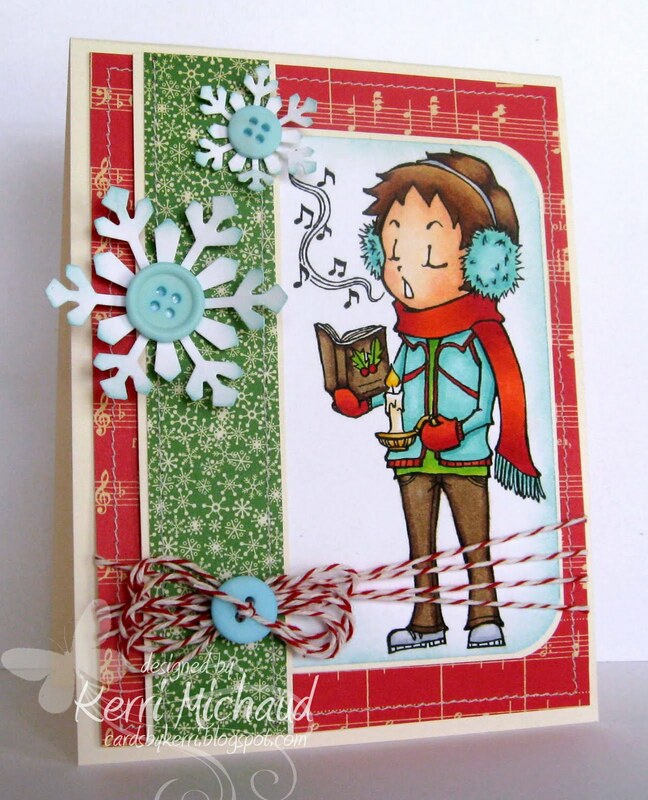 This is a lovely card - i've been thinking about getting a snowflake punch but not been able to find just the right one - I think I've found it now! Thanks!